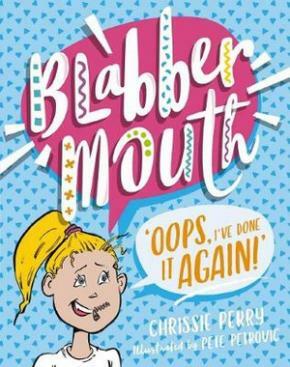 Blabbermouth = a person who talks too much = Amelie Anderson. Amelie is a blabbermouth. Shes not a bad kidshes just so bubbly that sometimes words fizz right out of her mouth! And then things go wrong. Terribly wrong. But shes determined to fix all that. Its time for a reputation make-over!